Dr. Christensen graduated from UC Berkeley School of Optometry in 1984. He was in private practice in the Bay Area before relocating his practice to Grass Valley in 1994. 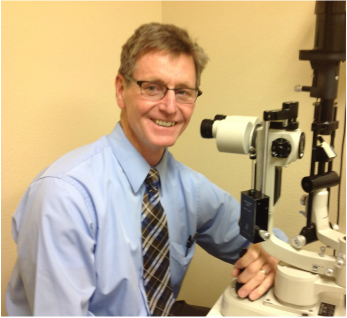 Dr. Christensen is a member of the California Optometric Association and the American Optometric Association. He and his wife Cheryl are the proud parents of six children and grandparents to eighteen. He enjoys many outdoor activities, backpacking, softball and water skiing being among his favorites. If you caught him at home, in his spare time, you would find him gardening. Dr.Christensen spends many hours doing volunteer church service. He particularly enjoys working with the youth groups. As with most Nevada County residents, he will tell you the reasons he enjoys living here are the warm, friendly people and the family friendly atmosphere. 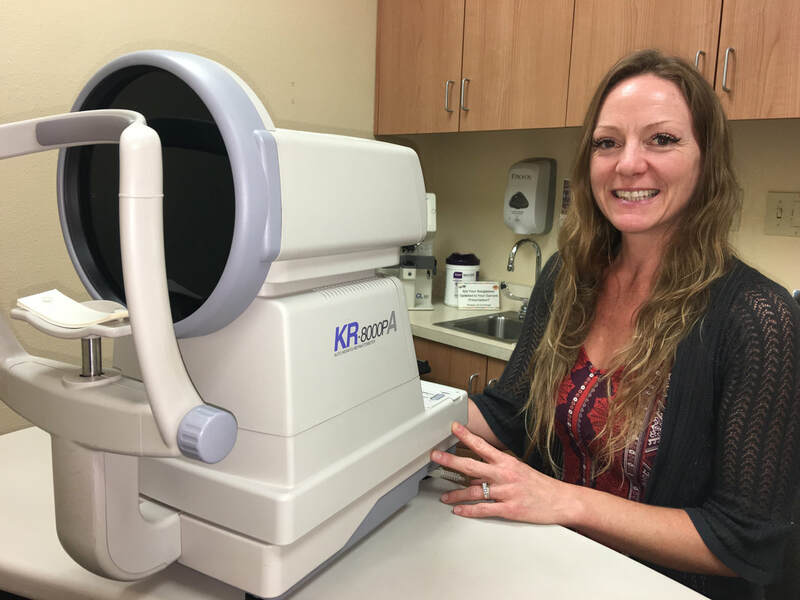 Dr. Stephanie Kirschbaum is a 1987 graduate of the UC Berkeley School of Optometry and a 1983 graduate of UC Davis where she started the Foresight Pre-Optometry Club as a sophomore student. As a young optometrist, she was part of the Infant Vision Research Team at UC Berkeley and performed school screenings in the Bay Area. She then started her own private practice in Alamo, CA. Twelve years later, after her first child was born, Dr. Kirschbaum and her family moved to Nevada City so her children could attend the excellent schools here. She is a Gold Country Kiwanian and is a professional liaison with Vision Service Plan (VSP). In addition to optometry, her passions include: her two children (and their activities), reading, music, crossfit and bulldogs. Robyn is the Office Manager having worked in the practice since 1989. 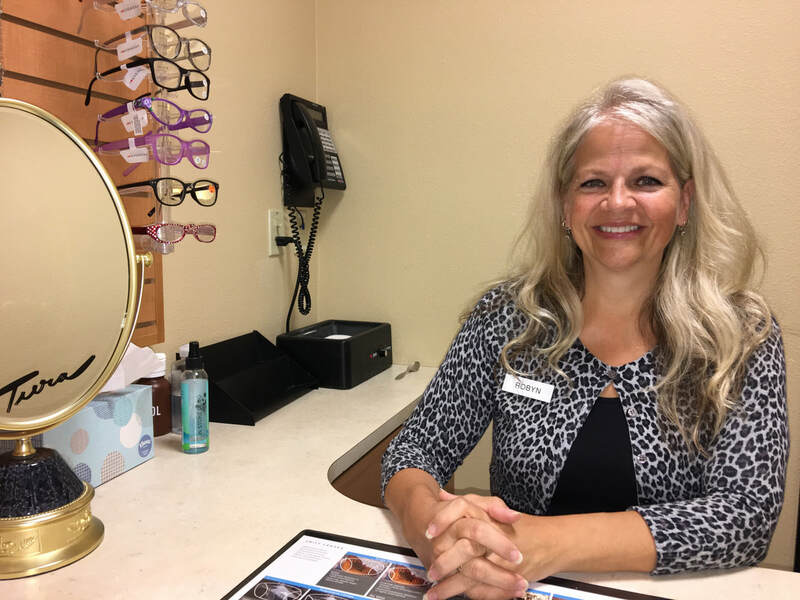 She is committed to excellent customer service and is skilled at helping patients find the perfect frame for fashion and function. Along with the rest of the staff, she wears many hats; receptionist, billing, lens and frame selection are among her everyday duties. Her family is the heart of who she is. She enjoys hanging out with family and friends, camping, going to Disneyland, and time at home are her favorite activities. Except for a brief stint away from the office, Carol has been a valuable member of our office staff for 20 years. She has a wealth of knowledge in the optometric field. She handles front and back office duties and will be one of the first faces you see when you come in the front door. She enjoys traveling, hiking, and running. 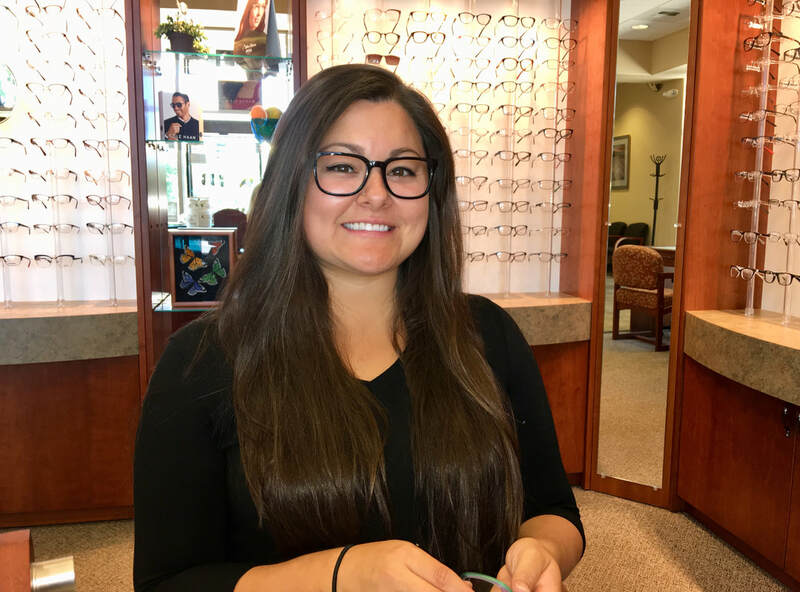 ​Jaimelyn is an optometric assistant and is the member of our team that performs the preliminary testing. As a Nevada County native, she graduated from Nevada Union High School and moved to San Mateo for 4 years while in college. After meeting her husband they moved “home” to start a family. She has 2 children that are very active in Motorcycle Racing and Competitive Dance, so with any spare time she has after that, she can be found outdoors enjoying a lake or river, hiking, kayaking or paddle boarding. Carly initially started working with Dr. Christensen in 2009. Born and raised in Nevada County she attended Nevada Union High School and Sierra College. 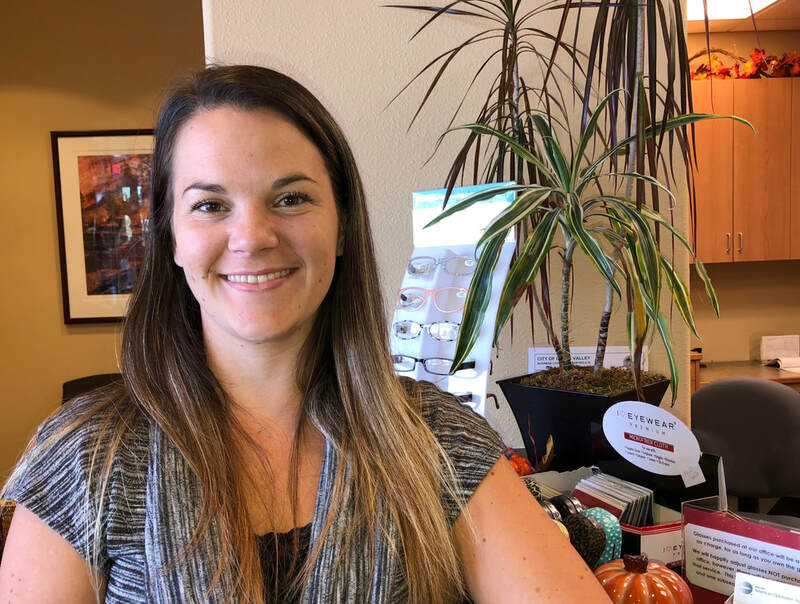 What she likes most about her role at the office is establishing relationships with our patients and prides herself on providing excellent customer service. In her spare time you would likely find her at the Yuba River with her two dogs Ryder and Decker, attending country music concerts, or paddle boarding on any one of the local lakes. She loves Giants Baseball and spending time with her family and friends. Janessa started working with Dr. Christensen in 2015 and after a few short months away she is back to join our amazing team! You will find Janessa performing the preliminary testing along with all of the front office duties. Raised in Nevada County, she graduated from Bear River High School. In her spare time you will likely find her camping with her family, ATV riding, boating at the lake, or gardening in her veggie garden. She loves spending time with her family and friends and being in the great outdoors.